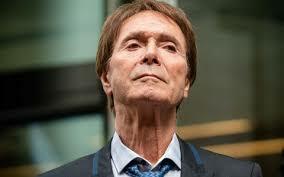 Cliff Richard is not the only person looking pensive after his High Court privacy victory over the BBC on 18 July. Many broadcasters are asking what it means for them in terms of their fairness and privacy (F&P) duties under Sections Seven and Eight of the Broadcasting Code. So I thought I would make this the subject of my July compliance tip. In short this is: keep across the developing law on privacy because Ofcom IS influenced by it. How? When Ofcom investigates an F&P complaint it applies the relevant rules and Practices in Sections Seven and Eight. The case officer will take account of previous Ofcom decisions in the same area and the individual facts – but all draft written F&P decisions are carefully reviewed by Ofcom Legal (not the case with other parts of the Code). Ofcom F&P case officers, and especially Ofcom lawyers, are not specialists in privacy law but they tend to have some knowledge of big trends and developments – like the Cliff Richards case. The BBC may still appeal this case. But at the moment – albeit based on what Alex Bailin QC of Matrix Chambers described as its “extreme” facts – criminal suspects will have a strong argument to block media reporting of their arrests or searches of their homes. Some of the concerns about gagging of the media may prove to be exaggerated but Mr Justice Mann’s decision ruled that Sir Cliff’s right to privacy outweighed the BBC’s right to freedom of expression. Ofcom’s privacy decisions also depend on weighing the same factors in the balance: is the breach of the complainant’s right to privacy warranted or not? So, if the High Court decision stands, in cases which are finely balanced in future Ofcom may tend to err more in favour of the complainant. Arguably it had already moved in this direction recently anyway (see my previous blogs about Channel 5 and Can’t Pay? We’ll Take It Away), so the trend may have further to go. It is not just developing UK privacy law to be aware of. There was for example an interesting ECHR case (Lopez Ribalda v Spain, 9 January 2018) about video surveillance of supermarket cashiers. This was applied by a regional court in Spain in May, which held that a supermarket worker sacked for stealing was wrongfully dismissed when the judge ruled that CCTV footage of her taking the pasty breached her right to privacy. With a number of TV programmes including or based on CCTV footage, compliance officers and lawyers need to read this case carefully.